Justine's Cardmaking: What's in Your Bunkie Bag? What's in Your Bunkie Bag? 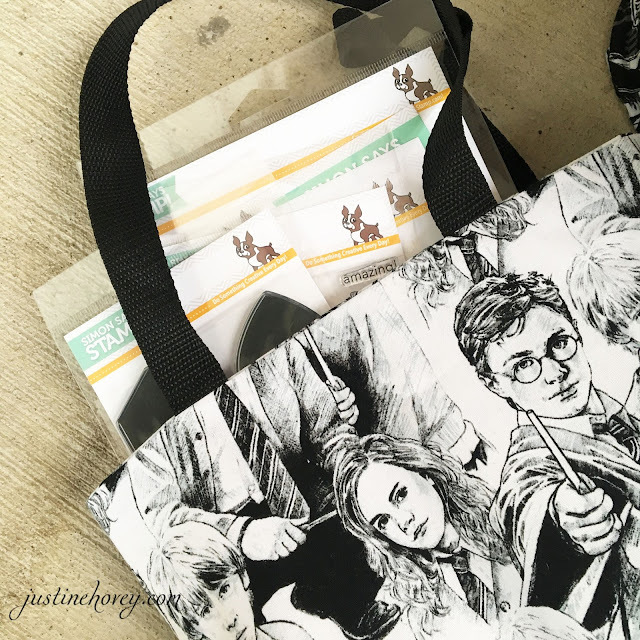 Today I am a part of a really fun blog hop for organization ideas featuring the awesome Bunkie Bag by simplycharmingbags.com! The owner Denise, who is known to everyone as Mama, makes the most amazing crafty bags - she is a one woman show and is amazing at sharing her talents!! Not to mention, we have a $20 gift certificate up for grabs if you leave a comment on all the blogs! What is a bunkie bag? It is a really sturdy tote bag with a fold-over top that is designed for everyday use or craft storage. You can choose one of the many fabulous pre-made totes or you can customize your fabric like I did! 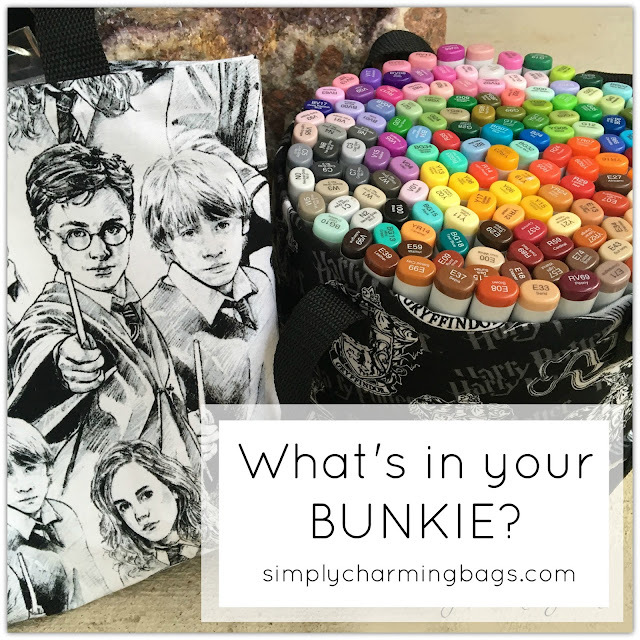 I have a bunkie bag, a mini tote and I also have a MISTI cover and Junkie Bunkie on the way which is a larger version of the Bunkie Bag inspired by the Stamp Junkies page on Facebook. In my Bunkie, I hold ALL of my Copic Markers (around 130). This way when I'm colouring, they are easy to haul out and they are all facing upwards with the colour name on top for me to choose easily. I try to group them by browns, yellows, blues, etc. My mini tote I use for all things I need to transport. So if I am photographing a card for my blog, I throw all the elements in the bag and head outside to take a photo. When I'm not photographing, I tend to stick my future projects that I'm working on. Both my bags are super fun and I just love the way my custom bag looks. It's so me and I get compliments on them all the time! My next order is a little more bright and artsy with some pretty palettes for my MISTI totes and Junkie Bunkie! I can't wait to get my Happy Mail and protect my MISTIs from falling! 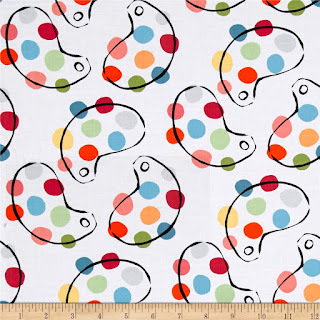 Now it's your turn to head on over to the other blogs so you can have a chance to win $20 to simplycharmingbags.com. Winner will be announced May 26th! WOW. Love your bunkie bags! Harry Potter...swoon! How do the Copis stay upright in your bag? These bags are a must! Love your Bunkie bags! I have gorgeous covers for my MISTI and Mini MISTI that I got from simplycharmingbags.com. Just love them! Don't think I can upload my Junkie Bunkie video here??? Bummer! Love it!!!! Your family of bags look so happy and they are going to be amazing once their sisters come to stay! Cute! You can never have too many storage bags! Carting the copics in a Bunkie bag is a fabulous idea- definitely going to check out that size too. Love the HP theme! Those bags are amazing. 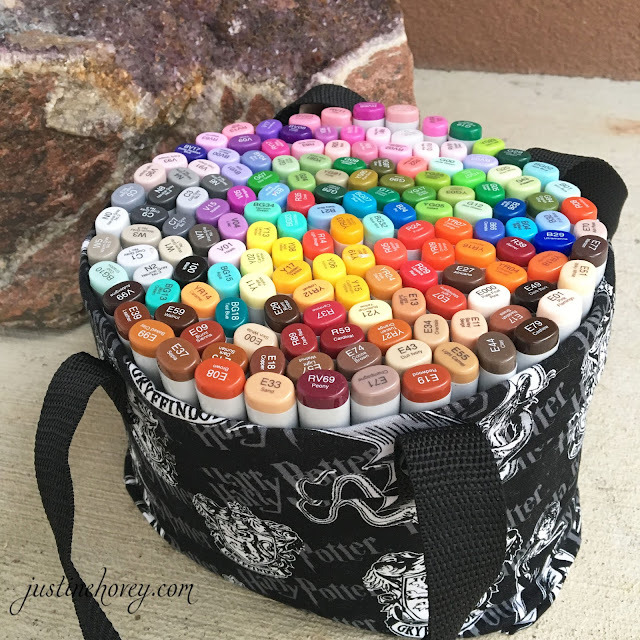 I love new ways to carry my crafty supplies, this just fits the bill....I NEED one. App fun!! Love your bags. Love your bags! So cute! I love your bags! My very first bunkie has a place of honor on my craft desk. I always turn to it for scissors instead of looking in the drawer! Mama is simply charming indeed! Adorable Bunkie bags..I have been in Wow with seeing all these on such a fun blog hop..I really am wishing to have them and hope to ..Thank you all for sharing these.Awesome..
Hey Justine!! I love your Harry Potter collections of Bunkie bags. They are amazing. Mama, did a great job. 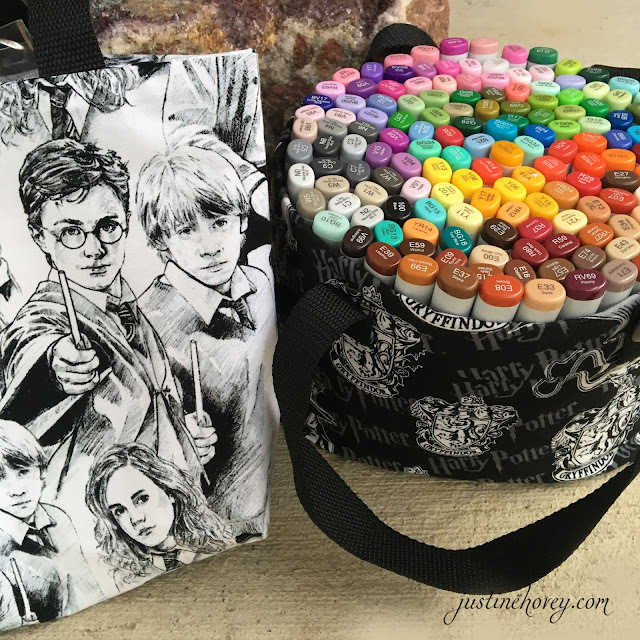 Harry Potter caught my attention immediately.....Love the bags.....Can't wait to fill one with my card making supplies.....I bet I can fit all sorts of things in it. Adorable bags! Love Harry Potter. I probably will use mine as a purse lol! These are cute. I love the Harry Potter. bags! Sure holds a lot. Great bags. I can't believe how many Copics fit in that bag. Would love to have one for my Misti and supplies. You mentioned a cover for the Misti. box so they were always handy. them accessible at all times. Love these... now to go to the website and shop! 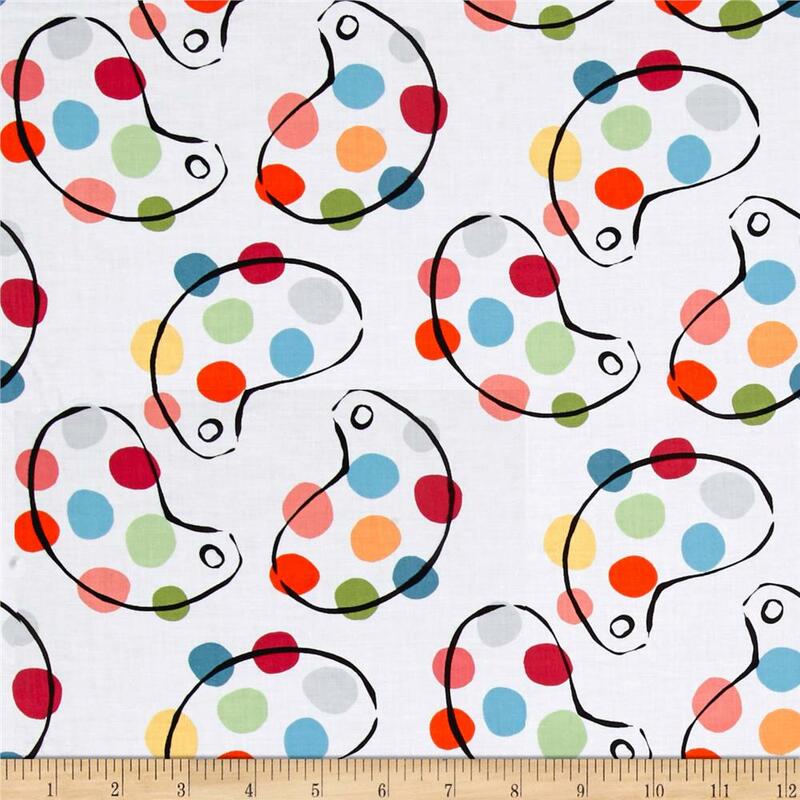 Both fabrics are amazing and I agree, they are so you! I love your Bunkie! I can't wait to get some more! I store my MISTI in the cardboard insert that it came in! Would love to have a bag to store it in! I guess I need to go shopping! GREAT bag! The Copic markers look so pretty in the bag. Gorgeous bags and can't wait to order mine. Just love the Harry Potter design of yours.